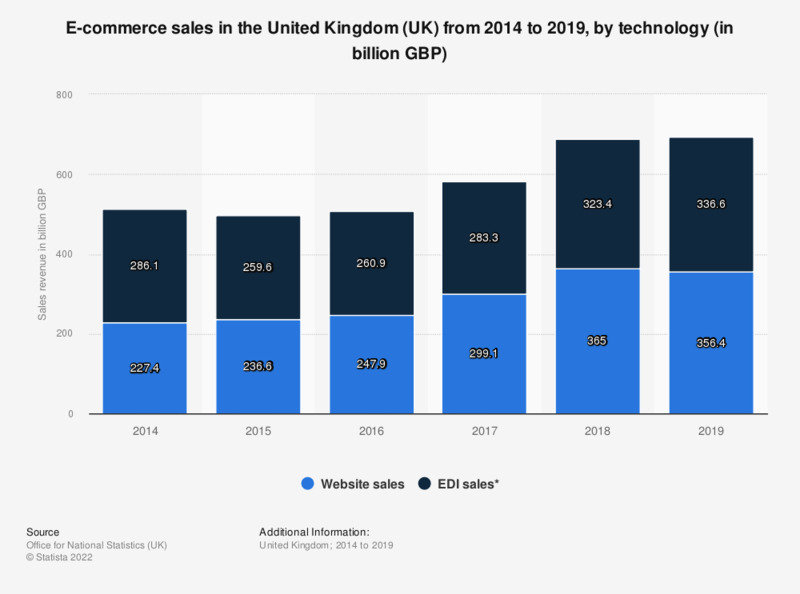 This statistic shows e-commerce sales in the United Kingdom (UK) from 2014 to 2017, by technology used. In 2017, website sales amounted to approximately 300 billion British pounds. This was higher than EDI sales which were 286 billion British pounds.